Equi-Heart Pledge: Day 4: Shattering the Illusion of Disappointment! Raise your hand if you ever get plagued by thoughts & feelings of disappointment?! Something not working out quite the way you planned? Feel kind of yucky about it? Yea, me too! 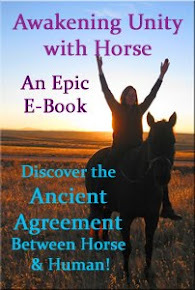 Thankfully a special Unicorn, An-Yes has some good wisdom for us today, gained by using the Wisdom Horse Meditation. I'm ready to shine my brilliance and reach for something better! How about you? Where do you need to choose the Truth of Something Better over Disappointment, please share! Thanks for all you and the healing herd are sharing with us Dr. Jenn! 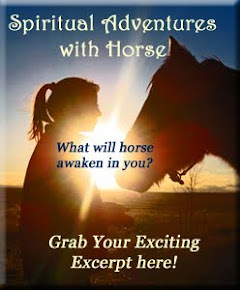 It's been interesting to hear what you've discovered in the daily meditation with horse so far. I particularly liked the message today- that disappointment is merely an illusion that creeps in when we forget that all is as it should be. It was great how Charm turned towards you while you were speaking, as if to emphasize the point. I am grateful for the reminders and for your courage to share your journey with the rest of us!